Is the all-natural pain reliever better than aspirin? Willow bark comes from the willow tree of the Salix species. The bark contains salicin, a compound similar to aspirin. Salicin is metabolized in the body to create salicylic acid, a precursor to aspirin. The herbal extract has long been used in native and folk medicine to relieve pain, inflammation, and fever. In the late 1800s, chemists discovered a way to make a synthetic version of salicylic acid, called acetylsalicylic acid, which we today know as aspirin. Sold as a dietary supplement, herbal tea, or topical ointment, willow bark is known as liu shu pi in traditional Chinese medicine and vetasa in Ayurvedic medicine. Willow bark's analgesic (pain-relieving) and antipyretic (fever-reducing) properties have been touted since as far back as 4th-century Greece when users would chew on the bark for rapid pain relief. 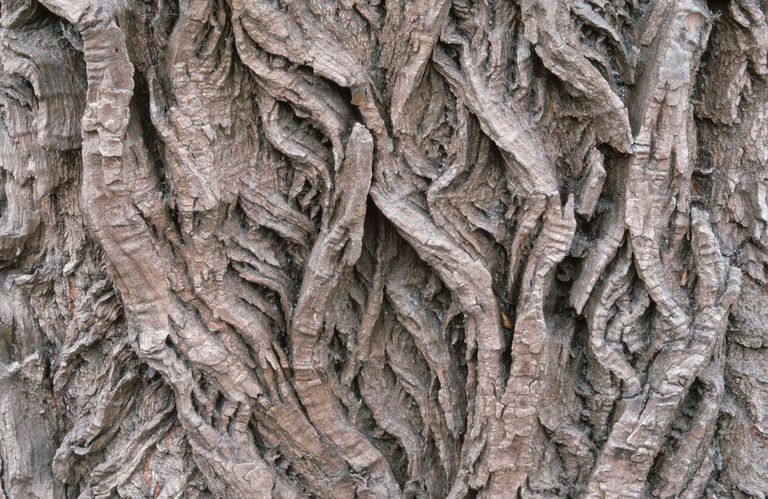 The growing popularity of natural medicines has fueled a renewed interest in willow bark. It is considered by some to be a reasonable alternative to nonsteroidal anti-inflammatory drugs (NSAIDs) like aspirin, Advil (ibuprofen) and Aleve (naproxen). Salicin, when converted to salicylic acid, inhibits the activity of cyclo-oxygenase 1 (COX-1) and cyclo-oxygenase 2 (COX-2). These are the same enzymes targeted by NSAIDs to alleviate pain and inflammation. Alternative practitioners contend that willow bark can safely treat a host of pain disorders, including headache, low back pain, knee pain, osteoarthritis, and rheumatoid arthritis. There are even some who say that it can aid in weight loss. Studies investigating the effects of willow bark in people with osteoarthritis ("wear-and-tear arthritis") has yielded mixed results. In a clinical trial published in Phytotherapy Research, a willow bark extract containing 240 milligrams (mg) of salicin daily was compared to a placebo in 78 people with osteoarthritis. After two weeks of treatment, pain scores (using the WOMAC osteoarthritis index) were reduced by 14 percent in the willow bark group compared to 2 percent in the placebo group. The same was not seen in a six-week study published in the Journal of Rheumatology. For this trial, 127 people with knee osteoarthritis were given either 240 mg of salicin, 100 mg of the pain medication Voltaren (diclofenac), or a placebo. After six weeks of use, Voltaren was found to be more effective in alleviating osteoarthritis pain, reducing pain scores by 47 percent compared to willow bark's 18 percent. The second arm of the study revealed that willow bark was no more effective in alleviating pain associated with rheumatoid arthritis (a form of autoimmune arthritis) than a placebo. Can Arnica Relieve Arthritis Pain? The current body of evidence suggests that willow bark may be most effective in treating acute low back pain. In a 2016 analysis published in the journal Spine, researchers evaluated 14 previously published studies on herbal treatments for low back pain. Among their findings, the researchers reported that the bark of the white willow tree (Salix alba) consistently provided greater pain relief than a placebo. With that being said, the quality of the reviewed studies was considered poor to moderate. Further research would be needed to determine how safe and effective willow bark may be in relieving low back pain. Willow bark has been aggressively marketed in recent years as a weight loss supplement. The health claims were fueled by early research in which the combined use of willow bark and ephedra proved effective in enhancing athletic performance and burning fat. Ephedra (known as ma huang in traditional Chinese medicine) has been banned in the United States since 2004 following a spate of sudden cardiac deaths in users. On its own, willow bark has not shown any weight loss properties despite its continued use in weight loss supplements. Willow bark is considered safe for short-term use. With that being said, there has been relatively little research into the long-term safety of the herbal supplement. Insofar as willow bark similar to aspirin, it is possible to develop many of the same side effects, particularly if overused. These may include stomach upset, nausea, vomiting, dizziness, ulcers, gastrointestinal bleeding,, ringing in the ears, liver toxicity, and kidney impairment. Children and teens should not use willow bark due to a rare but potentially fatal condition known as Reye's syndrome, commonly associated with aspirin. The same applies to breastfeeding mothers who may inadvertently transmit salicin to their babies. The safety of willow bark during pregnancy is unknown, so it is best to avoid it if you are pregnant or planning to get pregnant. An allergic response to willow bark is also possible, especially in those with a known allergy to aspirin. On rare occasion, the allergy may lead to a potentially life-threatening condition known as anaphylaxis. Call 911 or go to your nearest emergency room if you experience shortness of breath, wheezing, rapid heartbeat, rash or hives, lightheadedness, or swelling of the face, throat, or tongue after taking willow bark. If left untreated, anaphylaxis may lead to asphyxiation, coma, cardiac or respiratory failure, and death. Willow bark may slow blood clotting and prolong bleeding time. As such, it should not be taken with anticoagulants like Coumadin (warfarin), antiplatelet drugs like Plavix (clopidogrel), or any drugs associated with bleeding (including NSAIDs). For the same reason, you would need to stop taking willow bark two weeks before scheduled surgery to avoid excessive bleeding. Willow bark should also not be used in hemophiliacs or people with other bleeding disorders. Willow bark contains chemicals similar to the non-steroidal painkillers Trilisate (choline magnesium trisalicylate) and Disalcid (salsalate). Taking willow bark with either of these drugs can amplify their side effects, including stomach upset, nausea, vomiting, diarrhea, or constipation. There are no guidelines directing the appropriate use of willow bark. Generally speaking, oral doses of up to 400 mg per day are considered safe and effective for the short-term treatment of muscle or joint pain. Willow bark supplements are most commonly found in capsule form but are also available as powders and liquid extracts. There are also topical ointments used for pain relief and oil-based serums intended for external use only. Willow bark can also be purchased as wild-crafted chips or powders for use in making teas and tinctures. Dietary supplements are not subject to routine testing by the U.S. Food and Drug Administration. Because of this, the quality can vary from one brand to the next. Moreover, few herbal drug manufacturers voluntarily submit their products for testing by the U.S. Pharmacopeia or other independent certifying bodies. To better ensure quality and safety, opt for well-known supplement brands with an established market presence. When buying wild-crafted willow bark, only choose those that have been certified organic under the regulations of the U.S. Department of Agriculture (USDA). Is the bark from all willow trees safe? All willow trees belong to the Salix genus. There are more than 400 different varieties, the leaves and bark of which are believed to be medicinal. This doesn't mean, however, that they all contain the same amount of salicin. Faster-growing trees, like the white willow (Salix alba) or the black willow (Salix nigra), are the varietals most commonly used for health purposes. Generally speaking, the bark of all willow trees are non-toxic. They can, however, cause side effects is chewed or swallowed since you are unable to control the dose. Moreover, there is no way to know what pesticides or chemical toxins the tree may have been exposed to. For safety reasons alone, you should not harvest your own willow bark without input from an experienced herbalist or botanist. Can Wild Cherry Bark Treat a Cold? Biegert, C.; Wagner, I.; Lüdtke, R. et al. Efficacy and safety of willow bark extract in the treatment of osteoarthritis and rheumatoid arthritis: results of 2 randomized double-blind controlled trials. J Rheumatol. 2004 Nov;31(11):2121-30. Gagnier, J.; Oltean, H.; van Tulder, M. et al. Herbal Medicine for Low Back Pain: A Cochrane Review. Spine (Phila Pa 1976). 2016 Jan;41(2):116-33. DOI: 10.1097/BRS.0000000000001310. Powers, M. Ephedra and Its Application to Sports Performance: Another Concern for the Athletic Trainer? J Athl Train. 2001 Oct-Dec;36(4):420-24. Schmid, B.; Lüdtke, R.; Selbmann, H. et al. Efficacy and tolerability of a standardized willow bark extract in patients with osteoarthritis: randomized placebo-controlled, double-blind clinical trial. Phytother Res. 2001 Jun;15(4):344-50.